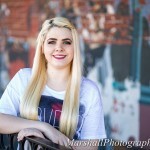 Marshall Photography is excited to offer on-location senior portraits in Wichita and south-central Kansas! Are you looking for fun and unique senior photos that don’t just look like the ones everyone else has? Your senior portraits should reflect your personality. That’s why we take the extra time with you to make sure that your photos truly capture who you are. That’s why no two senior photo sessions at Marshall Photography are the same. We will travel to locations special to you- somewhere that matches your style: Would you like to have photos with that classic old town feel? Maybe a bit of country? Wichita has many parks with fantastic landscaping too! The most important thing is you get to decide! 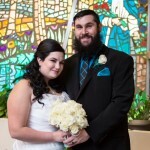 We take the time to get the best photos that you, your friends and your family will love! 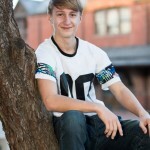 We are experts at making you look you best for your senior photos! 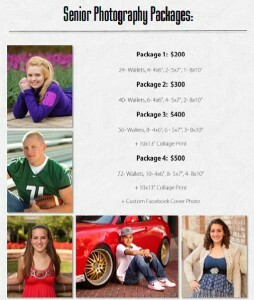 We have the photography and lighting know-how to make your senior portraits stand out above the crowd. You can expect your images to have beautifully soft and natural looking lighting, sharp details, and striking backgrounds. 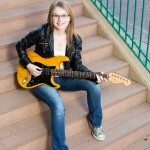 Your photo session will be fun, relaxing, and have a casual atmosphere. We are respectful, easy to get along with, and very flexible- check out our ‘About Us‘ page to see what we already have in common! Our Guarantee: if you don’t like your photos, we will either re-take them or you can walk away without paying a dime. 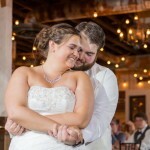 We are that confident that you will love your pictures! Looking for advice about getting your Senior Photos taken? Check out our article full of tips and suggestions to make your photos uniquely you and have you looking your best! Senior Photography Tips- what to wear, bring, where to go, and more! Session fee is $150. All sessions include up to 2 hours on location in Wichita with no limits on outfit or locations changes. Email us now to book your session. Prints ordered 8×10″ or larger include digital blemish retouching so you look your best! Contact us now with questions, ideas, or to schedule your session!